Compare prices and find affordable car hire in Newark Airport. We search among multiple suppliers to find the cheapest prices. Unlimited mileage, the necessary insurance and tax are included in the rate given. 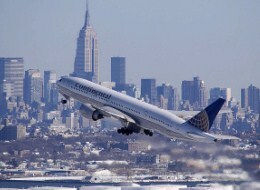 Newark Liberty International Airport (EWR) is owned by the city of Newark, New Jersey and operated by the joint Point Authority of New York and New Jersey. It is just 24 kilometers from Midtown Manhattan and often serves as a location for travelers looking to avoid the hustle and bustle of JFK. In 2010, the airport served 33,107,401 passengers. When combined with JFK airport and LaGuardia airport, the three make up the largest airport system in the nation and the second largest in the world in regards to passenger traffic, but first in the world in regards to total flight operations. There are numerous airlines that service Newark, including Air Canada, Air France, Alitalia, American Airlines, British Airways, Delta Airlines, JetBlue Airways, Lufthansa, El Al, United Airlines, US Airways, and Virgin Atlantic Airways. The busiest domestic routes between October 2010 and September 2011 were Orlando, Florida; Chicago, Illinois; Houston, Texas; Fort Lauderdale, Florida; and Atlanta, Georgia. The Newark Airport provides all its guests with a number of amenities to make their stay a more enjoyable one, including shopping opportunities, restaurant options, ATMs, currency exchange centers, tourist information, and several car hire kiosks.